Most of us with children have walked into our child’s bedroom at some point and have had the overwhelming desire to grab a giant garbage bag and get rid of at least 90% of everything in the room. Over the years I have gone through the stages of big toys (but not as many) when they were younger, to tiny toys when they are older, and now keepsakes and art supplies that are just as bad, if not worse, at getting everywhere. It was really frustrating because we were looking at Office Monster desks to put in there, but had to wait until the room was decluttered. I have slowly developed a number of habits and used many ideas. 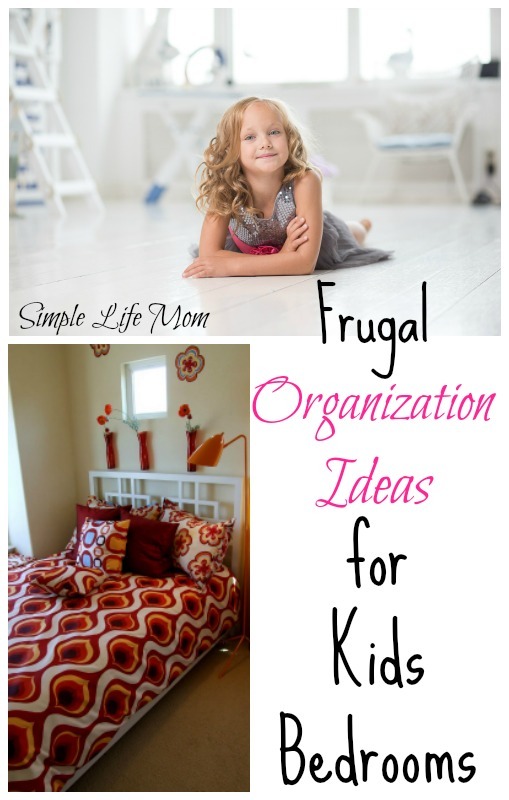 I decided to put them all together for you in this Frugal Organization Ideas for Kids Bedroom article. I’ve included a Free Checklist Printable for you to use and take notes on for what works best for you and your family. Don’t be sneaky. If you go in while they are sleeping and remove a number of their toys they will probably find out eventually and either (1) be angry, or (2) become hoarders with their other possessions because they are worried they will disappear as well. I am guilty of taking kids toys when they were not there – only the ones I knew they never played with – because I knew it would be easier than a big discussion. I did this every once in a while and they slowly learned about it. They started to ask if I took anything if I was in their room. I had items in storage, so I figured to make things right I should bring them out again. I made promises to always talk with them before removing anything and we began sitting down together talking about living comfortably without clutter and in a clean environment. Today, they are a very good judge about whether they use something or if it should be let go. Nothing is learned through the sneaky method except for distrust. Use this as a great opportunity to teach good habits. This does NOT have to be expensive. It can be as simple as moving furniture around! 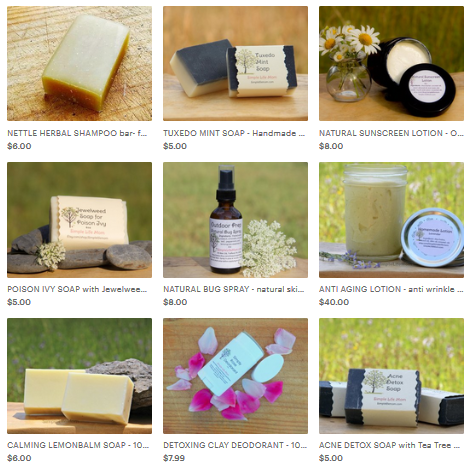 Add different items as your budget fits. A coat of paint in a favorite color can change the feel of a room completely. My daughter looked on pinterest until she found a style she really liked, and then she saved her money until she was able to buy an area rug, curtains, and a lamp. We found an adorable desk at a thrift store for $5! Her room looks completely different. Use coupons from websites like PromoCodeWatch.com to make purchases even more affordable! On top of that, in an effort to get her room to look more like the picture she got rid of a lot of her more babyish toys that she wasn’t playing with – without my even asking her. My boys didn’t care about paint or saving their money for anything but more legos or bb gun airsoft toys, but they were motivated by rearranging their furniture. My rule is that if something does not have a place, it goes. They can get help from me if they need to. Younger children will have to follow your guidance and example. 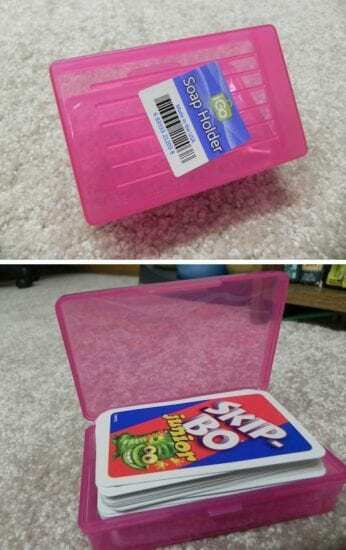 If they need storage, then get them storage or get rid of the item. We’ll talk more about storage below. A child who has a few important, creativity building and drawing tools and toys is much better off than a child who is overwhelmed with clutter (and mainly plays video games). 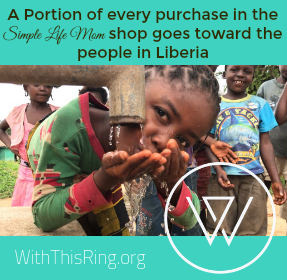 I loved Ruth’s article at Living Well, Spending Less on how she took her kid’s toys away. She was able to give them peace and boost their creativity. One of my children takes his toys to another room to play. Why doesn’t he want to set up his lego army in his room? Well the answer is obvious, it’s too cluttered and chaotic! They don’t like to stay in that room, because it doesn’t give them peace. We’ve used all kinds of organizing tools, but a point comes when you have to just get rid of things. I hope those ideas will get you going. Be encouraged and have fun! These are all great ideas and I have done similar things in the past with my kid’s toys, but when ever I organize their things it gets messed up within 48 hours. So now I let my kids decide how to put away their toys and belongings. That way we are all happy. Very useful tips, Kelly. 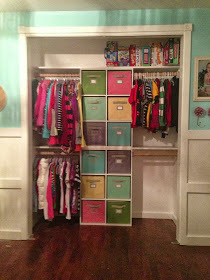 I like tip number two and I like how you and your daughter remodeled her room. The beauty of simplicity!! These are fabulous tips. Now it’s time to get my 10 year involved in straightening everything up in his room!! 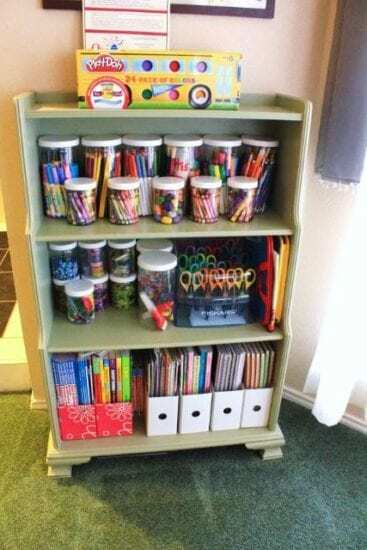 Great tips, I’m always on the lookout for ways to keep my kids’ rooms organized, I really like the craft organization one and will have to try something like it! 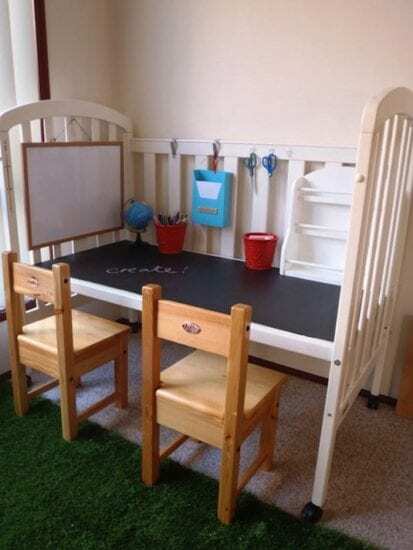 These are all great tips – I think an organized playroom is so much more fun and makes so much more room for creative thinking. Very useful tips! 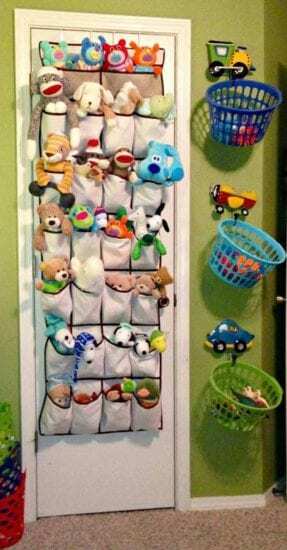 I remember when my son was little I always had trouble organizing him! Kids rooms can be a major source of anxiety. Thanks for the great ideas in this post!